Lots of moms read stories to their unborn babies and treat them with lovely music. It is well-known that babies are born with an ability to recognize familiar sounds, but recent research has shown that they pickup embryonic clues to language development in the womb as well. By 7 months/ 28 weeks fetal hearing is fully developed. 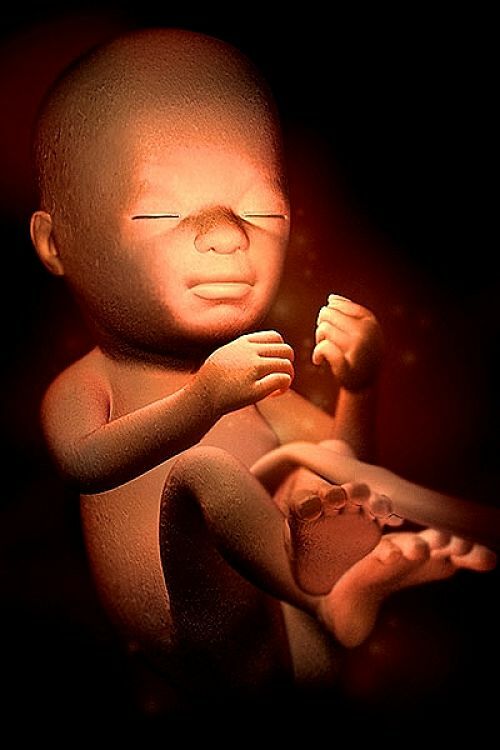 Even at 6 months/ 24 weeks the fetus responds to sound signals by kicking and increasing their pulse rate. 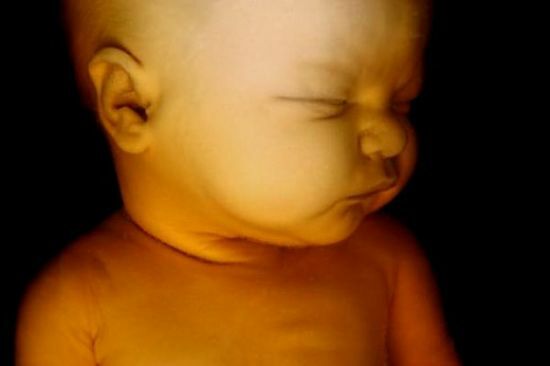 The fetus can also respond to audible stimulation at this early age. The new study showed that fetuses are listening to their mothers general talk and communication in the last 10 weeks of pregnancy and learning the precursors of language skills. When the babies are born, research studies have highlighted what they have heard and learned in the womb. Learn more about this break through in early language development. Researchers in Sweden and the US conducted their study on 40 baby girls and boys, about an day and a half after they were born, to see whether they showed any signs of language development in the womb during the last few weeks of their development. The babies were randomly played a series a different vowel sounds that are unique to either the Swedish or English. 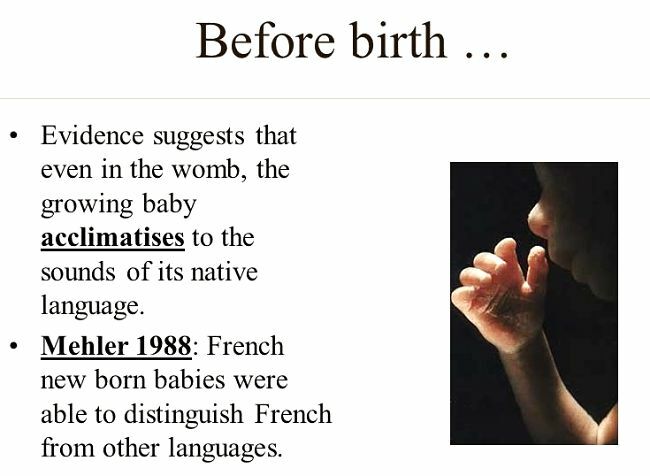 The researcher argued that if the babies responded differently to the vowels from their mother's language, than a foreign language, they must have learned the sounds of the vowels in the womb. The vowels included the English "e" sound in words such as 'sweet' and the Swedish "eu" sound that is comparable in sound to 'oeuf', as in the the French word for eggs. Both these, and other sounds, were unique to one language and not to both. The response of the babies to all the sounds was measured by the strength of their sucking on a specially designed pacifier, designed to monitor sucking strength. The pacifier was connected to a computer and so they could monitor the reaction of the babies to the various sounds. 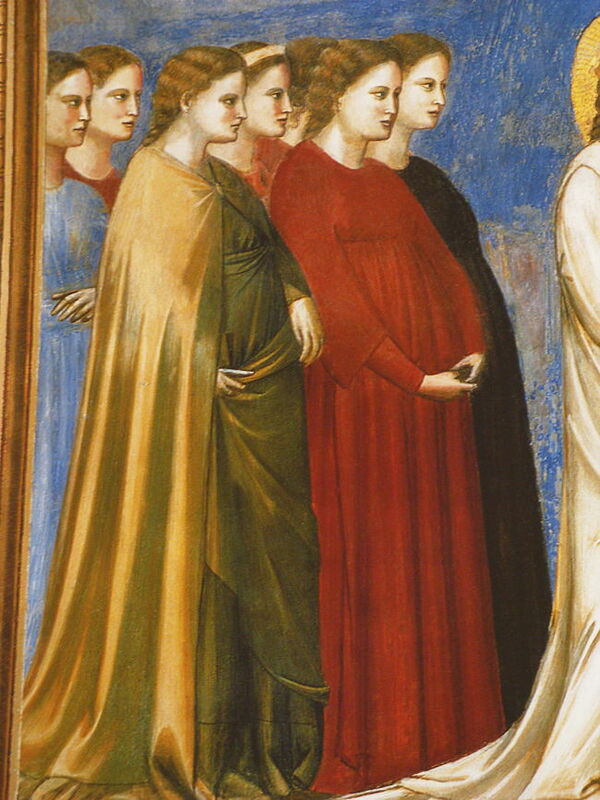 It was argued that the babies should pay more attention to the sounds they were unfamiliar with. 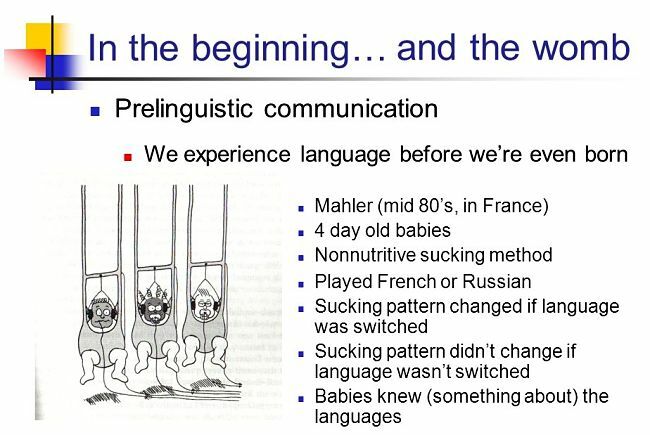 The vowel sound, being part of words, means the babies were not responding to simple sounds that could be picked up by primitive hearing, loudness etc. The study found that the babies sucked on their pacifiers hardest in response to vowels from a foreign language. The Swedish babies sucked much harder in response to English vowels and the American babies sucked harder in response to Swedish vowels. The results show that newborn babies can distinguish elements of different languages. Not on this, but they are curious, and aware enough, to want to explore language elements that are unfamiliar to them. 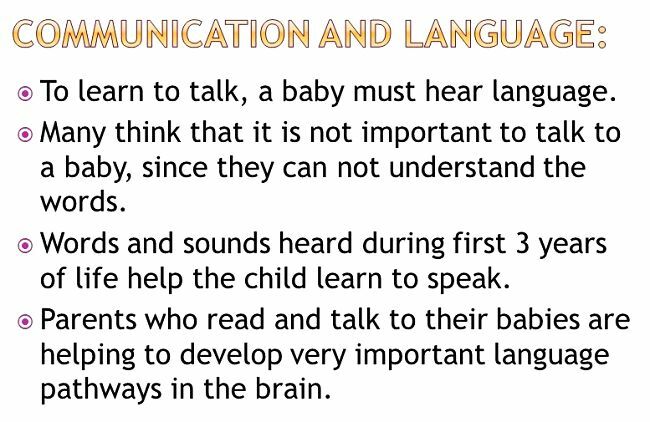 This and other research, shows that in the the last 10 weeks, not only is the auditory system fully working, and babies are listening, but the babies are also remembering, processing and learning the sounds of speech as part of language development. 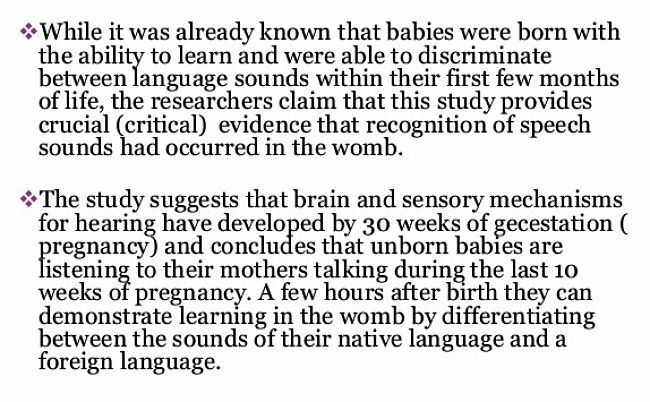 Babies born to mothers who spoke more than one language, showed that they can equally absorb the sounds of two or more languages in the womb. However, the researchers were quick to warn against trying to accelerate the speed of language development by playing then language CDs. It is known that too much sound can interfere with hearing and possibly interfere with the learning as well.